A race visualization exercise can help you overcome pre-race anxiety and help you achieve your running goals. It will help you feel more confident and less anxious. We all tend to get nervous before a race even if we are well prepared. 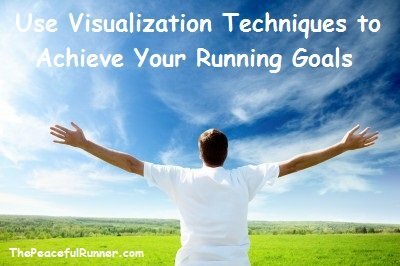 This exercise will help you master the technique of visualizing as you visualize (experience) an upcoming race before you do it. Visualization techniques help you define and shape your future accomplishments. You attract positive outcomes by visualizing them. Your subconscious mind cannot distinguish between what your mind sees (a mental image) and what your eyes see (your current reality). Your self-concept is only limited by what you think you can do. Visualize whatever you want to achieve in vivid detail starting with a great race result. When you use visualization techniques and methods properly, you can clearly see in your mind's eye the positive image in great detail. 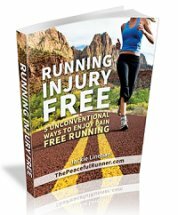 You imagine yourself running strong and fast and feeling great as you do it. Visualizations affect your nervous system by using the same muscle patterns as if you were actually performing the activity. Your brain interprets the movements as real allowing your subconscious to believe you are performing these actions with ease and without fatigue or stress. You can create your own visualization exercise or you can listen to a recorded version (available below). A recorded version is easier to practice with as the visualization is already created for you and your practice can be consistent. 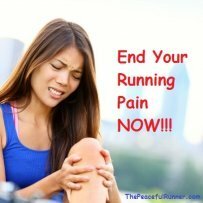 You can listen to it in the weeks or days leading up to your race. You are feeling really good and you are excited now on the morning of the race. You are well rested and you have prepared well. You have done everything you need to do and you are ready to go. There is lots of time for you to get to the race start. The race will begin in a few minutes. You take a few deep breaths to center yourself as you line up at the start. Feel how strong you are now. You have trained well and your body is ready for this race. See yourself clearly now as you start running. 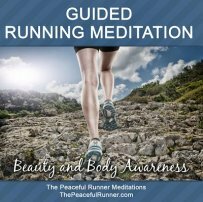 See your clothes, your racing bib, your shoes, your water bottle, you are running strong and relaxed and it feels fantastic. You feel the muscles in your legs and your arms—they are all moving easily.Everything is in sync. You feel very relaxed now but you are also energized. You are moving along easily now and you are feeling great. You are fully experiencing this moment. You are pacing yourself correctly. You are running strong and you are running tall and proud. You stop briefly to refuel. Imagine how your drink or snack tastes as you replenish your body. As you refuel, imagine your body being filled with great strength, power and stamina. You love the atmosphere and the excitement of the crowds. You are living your dream. Today is the day. You are in total control of your body, your mind and your spirit. Visualize how it feels now as you finish the race. The movements of your legs and arms are strong and controlled as you swiftly and easily shoot over the finish line. You are smiling and you are happy. The medal is being placed around your neck as you walk towards the refreshments table. Take a deep breath and savor this moment. It feels wonderful! You have earned this and it is yours to enjoy and remember always! 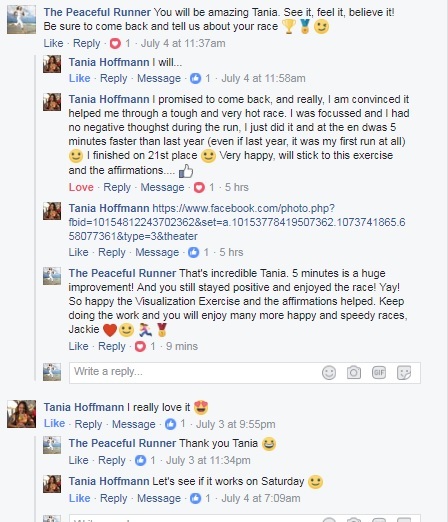 Visualization exercises are amazing! Use them to achieve your goals and have the best race day experience ever! This race visualization exercise is available for immediate download in audio format (MP3). It is over 9 minutes long. Get your copy now to ensure that your next race day experience is awesome! Only $4.99 USD - Order now!